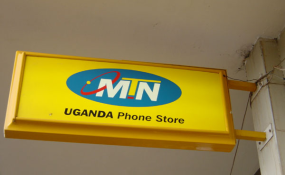 MTN's 20-year licence expired on October 20, 2018, prompting the regulator, Uganda Communications Commission, to grant it a 30-day interim licence after the Cabinet scuttled the process of getting a quick licence and demanded a review of the telco's operations. The regulator said the licence would be renewed subject to new conditions, key among which was listing on the c to give citizens a chance to share in the telco's profits. With the deadline looming, Mr Tumwebaze told The EastAfrican that, "We will not allow a regulatory vacuum to disrupt their operations. The regulator will find an appropriate way within the law to allow them to run their operations smoothly." "It will be renewed, no problem," said UCC executive director Godfrey Mutabazi, adding, "We cannot frustrate such a big investor," and that there was "nothing holding back" the licence. MTN dominates the Uganda mobile telephone market, boasting more than half of the country's total subscribers, estimated at about 22 million. "Following the advice to involve the Ministry of Finance, I requested the Minister of Finance to designate competent officers on the correct formula for computation of the license fees since the law on telecoms regulations [UCC Act] is not clear on the same," Mr Tiumwebaze wrote. In their response to the president's letter, UCC said the figure of $100 million was only proposed as a basis for negotiations with MTN and was not definitive. "Please find attached a report detailing the basis upon which the Commission recommended the initial figure of $100 million and the revised renewal fee of $58 million." "In accordance with the national broadband policy, MTN's capital investment is expected to increase by $200 million in the sector within the first 24 months of renewal of the licence. This is over and above the average $80 million for their normal business capital investment," Mr Mutabazi wrote. "The commission also benchmarked the revised fee against other countries in East Africa and other parts of Africa. Kenya, Rwanda and Tanzania charge licence fees of $27 million, $500,000 and $800,000 respectively," he wrote, "the commission believes that the revised renewal fee of $58 million represents a reasonable value for a 10-year licence." "The purpose of this brief, therefore, is to update Your Excellency on the actions we have taken and to also inform you that the Attorney General and myself are waiting for input from the Ministry of Finance. Thereafter, we shall present our final recommendations on the matter for final resolution."